Sources tell Axios‘ Jonathan Swan that Kushner and Republican Senators like Sen. James Lankford (R-OK) are touting a plan that would give green cards — and thus a quick path to U.S. citizenship — to about 700,000 illegal aliens enrolled in the President Obama-created Deferred Action for Childhood Arrivals (DACA) program. Currently, the Trump administration has endorsed a Senate GOP budget deal that puts restrictions on the $5.7 billion in border wall funding, only allowing the president to construct bollard-style fencing at the U.S.-Mexico border which both Presidents Bush and Obama used. 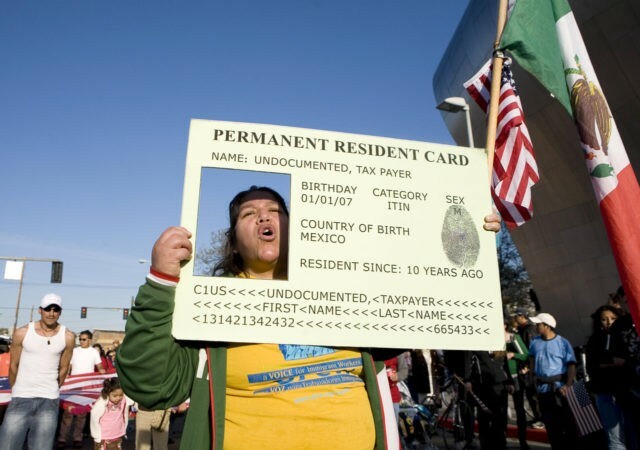 That plan hitches amnesty in the form of three-year work permits to about a million DACA illegal aliens and foreign nationals in the country on Temporary Protected Status (TPS) who would be shielded from deportation. “If you start putting citizenship on the table in any meaningful way, Democrats will have to give more, and they’re not ready to give more,” a Republican Senator anonymously told Swan. Trump’s base and pro-American immigration reformers have warned the administration to steer clear of any amnesty deals which they say is “detrimental” to the nation because such a plan would codify Obama’s DACA program into law, drive up illegal immigration, implement a never-ending flow of foreign relatives to DACA illegal aliens arriving in the U.S., and further suppress American workers’ wages by flooding the labor market with additional foreign workers. The Senate is expected to vote this week on dueling legislation to reopen the federal government, though Capitol Hill watchers say neither bills have enough support to pass.